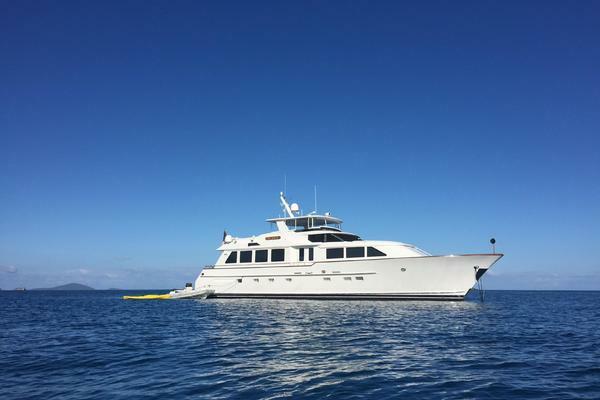 Gorgeous Yacht that has had over $300K in improvements over the last two years. A Master Stateroom and two twin Staterooms, all with ensuite heads. Crew quarters has a captain's bunk with an ensuite head and bunk berths forward with an ensuite head. Six heads in total. Twin davits on the bridge. Twin generators. Detroit 12V71 TIs. Heavy duty hydraulic bow thruster. Great for cruising and great as a live aboard. United Yacht Sales New Jersey would love to guide you through a personal showing of this 86' Burger 86 Raised Pilot House 1986. 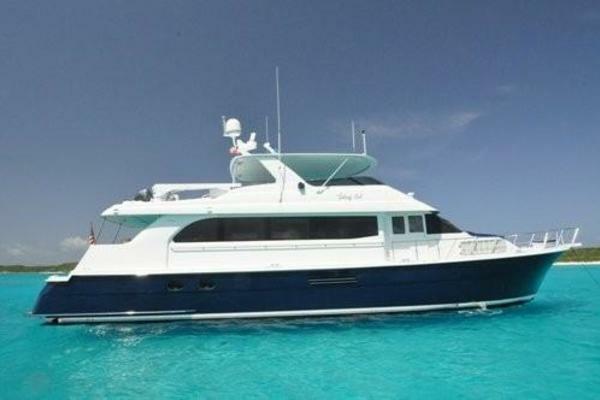 This yacht for sale is located in Chicago, Illinois and priced at $1,375,000. For a showing please contact us by filling out the form on this page and we will get back to you shortly! The AFT Deck has entrances via Wing Doors on either side and the sliding door to the Salon. There is a transom door to the ladder to the Swim Platform. Varnished Table measuring 45" X 72"
The Master Stateroom is accessed going down stairs from the Salon to a Companionway. Going AFT in the Companionway is the Master Stateroom. Going FWD are the 2 Twin Staterooms. There are multiple lockers on either side of the Companionway. The Dining Room is Forward of the Galley. The Bridge is accessed by stairs from the Pilothouse. There are two helm chairs and L shaped seating with all new cushions. The Mast folds down. Further AFT are two MarQuipt Davits with a capacity of 1600 lbs each. There is room for two tenders. The Pilothouse is FWD of the Salonand atthe same level. The Wheel is centered. There are wing doors on either side with access to the catwalks. Access to the Bridge is via a staircase on the port side. There is a large Bench Seat with drawer storage underneath. The Crew Quarters are FWD into the bow. The access is down stairs FWD of the Pilothouse and AFT of the Dining Room. Upon descending the stairs, the Engine Room door is AFT and Crew Quarters are FWD. Crew Quarters are rather extensive for a yacht this size. There is a captain's berth with an ensuite head. There is a separate room with bunk beds and an ensuite head. In the common area is a dinette. 500' Galvanized Anchor Chain 3/8"